« Nepotism in the workplace may be a good thing for the environment! while others are useless or we already know about. Here are some of my personal favourites which I apply myself. -Gravity is your friend: why even press on the pedal when the can can go down on its own? On downhill rides, gravity not gas, is your friend. -Scan your local routes to work and other common places for one with the least amount of traffic and stop signs. Don’t get used to the same routine: find other routes that can potentially save you money. -Turn off the car at those red lights that take more than one minute. You know you are going to stop after all. I know at least 3 of those in my area. And since I drive through them at least a few times a week, it is a no-brainer. -Always try to fill-up rather than topping up only. Without going into too much details, and speaking from years of personal experience, this will save you money. -Last but not least, take it easy on your gas pedal. This may sound like common sense, but do you really watch your pedal? Are you aware of how smooth or how hard you press on it? Do you press on it gently, as if you are pressing on egg shells? This is probably the single most overlooked factor in your fuel efficiency. Practice makes perfect. You may have been used to always pressing hard on the pedal and may take some time to break out of this habit and go easier on the pedal, but it will pay off . 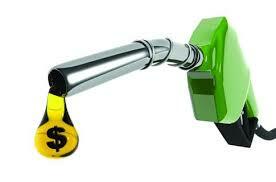 Just because gas prices are down, doesn’t mean you no longer have to care about saving money at the pump. You should take any savings you can get, after all, gas prices are bound to go back up in the long term, if not earlier.